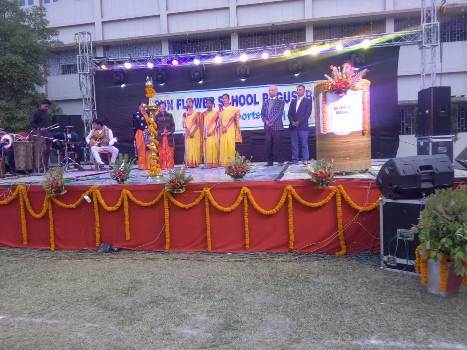 Sunflower School is a Public service oriented institution. It is promoted by Art Culture & Educational Society which has done pioneering work in the field of education since 1998. It runs a Senior Secondary School. Sunflower School , Begusarai (established in 1999). Special emphasis is given to students to realize the dignity of hard work. The objective of the school is to imbibe moral and aesthetic values in the children, along with the holistic development of the child. School strives to achieve the 3R?s Right Thought, Right Action and Right Attitude. The Chairman of the school Mr. P.N.Singh (Proffessor) is basically a social worker and great Humanist. He strongly believes that children are the future of our country, so the new generation has to be developed in a magnanimous character as they are the pillars of strength. They have to face the challenges of globalizations, so every care has to be taken that they develop into competent and confident citizens of India. He is staunch supporter of woman independence. He wants to establish issueless world based on merit only accommodating everything possible. The prime objective of the school is to bring out the best potential of the child and to develop them to perfection. School promotes excellence through value-based education using the most modern techniques and teaching methodology. Nurturing the children in the frame of philanthropic philosophies enunciated by the time-honored Indian Culture and Civilization. Our vision encompasses the cherished desire to orient their mental, physical and intellectual energies towards realizing the noble goals of the institution in unison with the standard values of our nation, culture and society. The national character of an Indian Citizen is to be chiseled out and shaped in the light of the new world realities. The school motto is ?Walk in the stream of light to blom like the Sunflower?. Children are taught to learn dignity of labor. There is no short cut to success and no substitute for hard work. To sum up, the mission of Sunflower School ? Where every step expands the mental horizons and prepares the ground for the future citizens of the nation. Let us produce and promote global humanism to accelerate the total growth of globe.